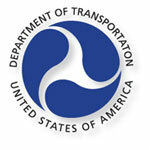 The Department of Transportation was established by an act of Congress on October 15, 1966. The Department’s first official day of operation was April 1, 1967. The Official Website of the United States Department of Transportation provides authorized for-hire motor carrier, and tips or hiring a household goods mover. 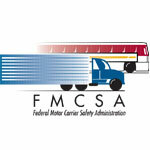 The FMCSA Safety and Fitness Electronic Records (SAFER) System offers company safety data and related services to industry and the public over the Internet. Now in its 46th year, Mid-West Truckers Association represents and services over 2,700 members in 15 states. Mid-West Truckers Association members are trucking companies and companies that operate trucks as part of their business. 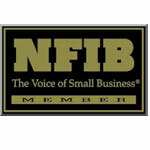 The National Federation of Independent Business is the nation’s leading small business association. NFIB’s powerful networks of grassroots activists send their views directly to state and federal lawmakers through our unique member-only ballot, thus playing a critical role in supporting America’s free enterprise system. Moving Insurance.com is an innovative provider of online moving insurance. We offer insurance for household moves and commercial relocation from the nation’s top insurance providers to ensure that our clients get the coverage they need. 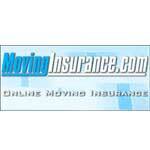 Moving Insurance, LLC is licensed to sell moving insurance domestically in 50 states, as well as worldwide. 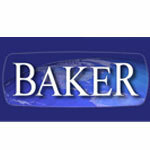 Since 1981 Baker International has provided comprehensive household goods insurance to meet the needs of corporate transferees and private individuals moving within the U.S. or overseas while concurrently providing “in-house” world class claim service. 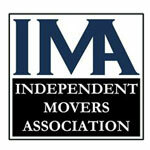 The Independent Movers Association, Inc. (“IMA”) is a private organization with the purpose of providing consulting, training, advocacy, and support services for motor carriers and consumer shippers. Since our founding, the IMA has grown with an education and service focused emphasis. The IMA encourages continuing education, safety, professionalism, and integrity among all its motor carrier associates. The philosophy of the IMA is that the satisfaction of the consumer shipper should be the issue of central importance for all moving companies. If consumer shippers are satisfied with the service provided to them, then business will grow and profits will follow. US Movers Association was formed to provide a forum for those special moving companies that are willing to go beyond ordinary customer service and provide a higher level of service to their customers. By setting a new standard of ethics, the members of US Movers Association will bring improvement to the moving industry and more business opportunities to themselves Movers Association has formed an alliance and network of transportation specialists within our industry that are committed to the stringent performance criteria and customer service standards we have implemented in an effort to provide the highest quality services (not necessarily the least expensive) but competitive and reasonably priced, considering the expense involved in the transporting of goods.